Dr. Vassilev received his M.Sc. diploma engineering degree in Applied Physics – Microelectronics and Optoelectronics from the University of Plovdiv, Bulgaria in 1994. His M.Sc.thesis work was in the field of modelling the quantum properties of semiconductor structures. In 2004, Vesselin received his Ph.D. degree in electrical engineering from the Katholieke Universiteit Leuven, Belgium being at the same time affiliated to the Interuniversity Microelectronics Center (IMEC), Belgium, the worlds leading independent R&D centre in the field of semiconductor technologies and applications. Vesselin’s Ph.D. research area was in the field of modelling and design of protections circuits against Electrostatic Discharge (ESD) events in semiconductor devices and circuits. In the 2005-2009 Dr. Vassilev was part of the product reliability team of Texas Instruments Inc., Dallas, USA, providing solutions and support to the wirelesses products groups at TI in the area of ESD design for state of the art advanced integrated circuits. In 2009 Dr. Vassilev established the start up company Novorell Ltd., which provides Electronic Device Automation (EDA) software tools and consultancy services to companies worldwide in the areas of ESD design reliability solutions for the nowadays integrated circuits and technologies. In 2010 Dr. Vassilev initiated the establishment of Cluster Aero-Space Technologies, Research and Applications (CASTRA), a non-profit non-government organization in Bulgaria combing the expertise, capacity and resources of 23 (at present time) organizations in the country – such as SME’s, Universities and R&D centres with activities related to the aero-space filed and its applications to the benefit of the whole society. At present , Dr.Vassilevs serves as the CASTRA’s CEO and is also affiliated to the Space and Solar-Terrestrial Research Institute (SSTRI), part the Bulgarian Academy of Sciences – the leading space research organization in Bulgaria, successfully executed in the past two human space flight programs and a numerous international space projects. 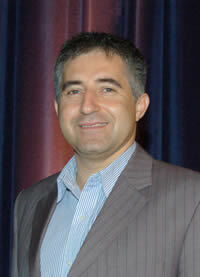 Dr. Vassilev is an author and co-author of more than 50 publications in his research fields and co-author of 2 patents. In 2010 Dr. Vassilev served as the General Chair of the Electrostatic discharge/Electrical Overstress Symposium, organized by the international Electrostatic Discharge Association (ESDA)– the worlds leading independent professional organisation focused at the problems of electrostatic events in semiconductor technologies and circuits. Dr. Vassilev is presently a reviewer for several international journals and and alos serves as guest editor for the journal of Microelectronic Reliability in the fields of the ESD reliability topic.